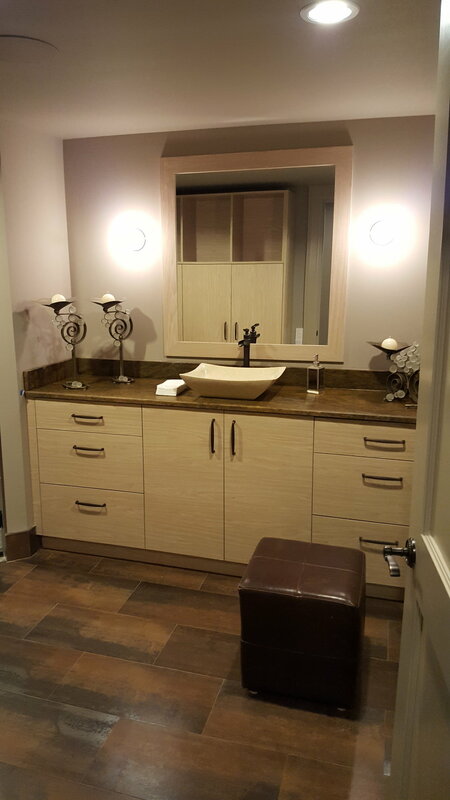 This client wanted to freshen up their bathroom with new cabinets. Their cabinets were removed and Wood Tailor was brought in to design new ones. After meeting with the client and learning their vision for their bathroom renovation, we crafted and installed these cabinets. The finished product is a fresh, clean European style bathroom with plenty of storage space for towels and other toiletries.